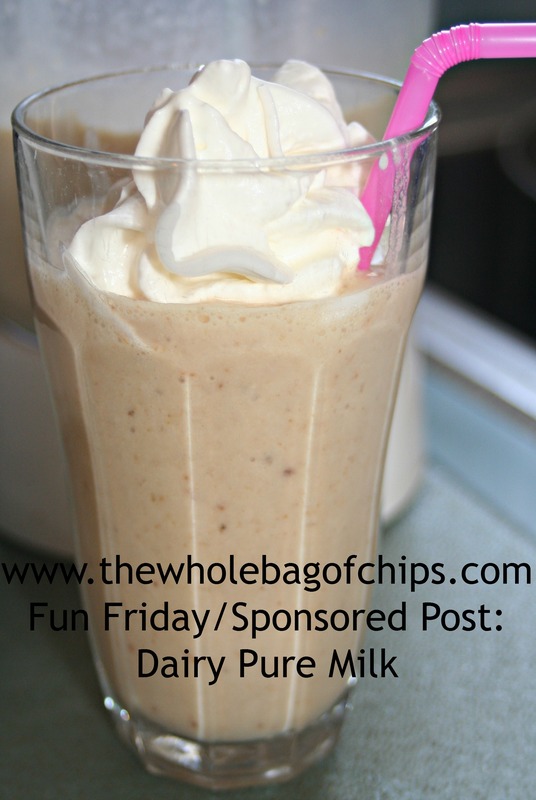 Sponsored Post: Dairy Pure Milk with a Worry-Free Flip Cap Recipe and Giveaway! Have you seen it yet? 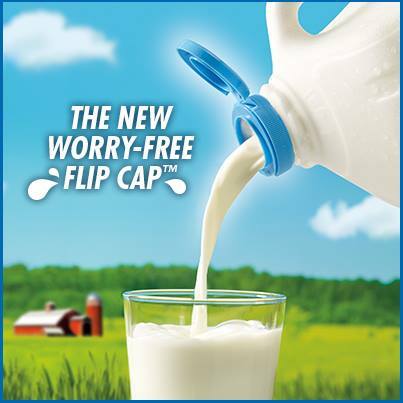 Dairy Pure Milk has a great new Worry-Free flip cap! Do you ever have one of those “Why didn’t I think of that,” moments when you see something new on TV? I know I do! I recently had one of those moments when I saw the television commercial for Dairy Pure’s new “Worry-Free” flip cap. I can’t tell you how many times our milk caps have gotten lost, accidentally thrown in the trash, or gone flying on to the floor upon being opened. In the past, I’ve had to put plastic wrap over our milk cover with an elastic band or use an old cover, or put all the milk into a pitcher, all to solve our milk cap problems. Clearly, I’m not the only one whose household has had these types of milk cap worries, because Dairy Pure Milk recently introduced their new Worry-Free flip cap, which now keeps the cap ON the milk, where it’s supposed to be. Since we’re big smoothie people, especially now that the warmer weather is coming, I was excited to try out Dairy Pure milk and the great new worry-free cap, for a new smoothie recipe, which I’ll share below. I also enjoy using locally produced products and Dairy Pure is made by Garelick Farms in Franklin, Massachusetts, which is the town where both my husband I used to work. Those five points are all important, and I was pleased to know that Garelick takes those things seriously. But it’s the cap….I love that cap! My days of plastic wrap, elastic bands and pitchers are a gone with the Worry-Free cap. Before I share my smoothie recipe with you, I wanted to also pass along the Dairy Pure Recipe page in case you’d like to find even more recipe inspiration using Dairy Pure Milk! And remember: Be sure to read to the end of this blog post, as I’ll be putting my instructions there for a Dairy Pure special giveaway! Dairy Pure Milk with a Worry-Free cap is an excellent choice for your own smoothie concoctions! Now…for my recipe! I often post smoothie recipes for my Fun Friday posts, and since it’s Friday, I thought a new smoothie recipe would pair well with my Dairy Pure Milk! I recently received a gift from my friend Amy: a jar of crunchy cookie butter!! She knew that I’d given up my favorite hazelnut spread for Lent, and she thought this delicious crunchy cookie butter would help me through the 40 days. She’s right! The jar is almost empty! I’ve been eating it with a spoon, but I thought I’d try it, along with the milk, in a smoothie and it was a.m.a.z.i.n.g!! Throw it all in a blender and you’re ready to go! Place all your ingredients into your blender or smoothie maker and blend it up! So simple! You can choose to add a little whipped cream to your smoothie if you’d like! And now….the moment you’ve been waiting for! 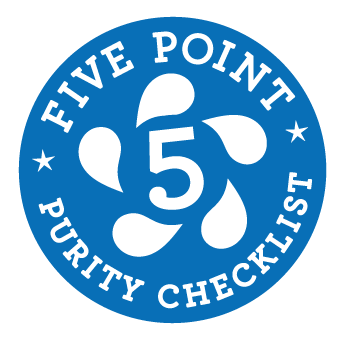 The Dairy Pure milk GIVEAWAY! I know that if you’re like me, keeping your cold groceries cold between the store and home is important! 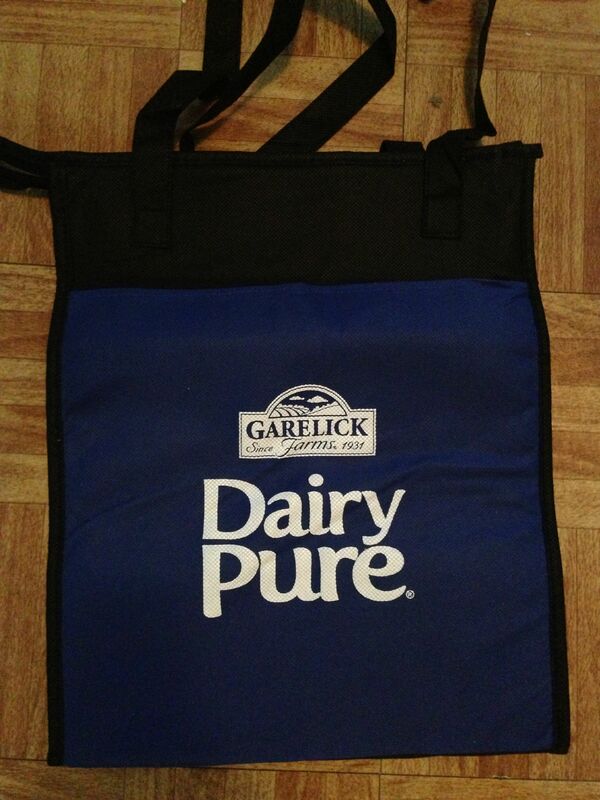 Therefore, I’d love to give TWO READERS a special insulated, re-usable, handled shopping tote bag from Dairy Pure Milk! You can use it to keep all your cold foods cold when you’re en-route from store to home. Now you can shop for all of your smoothie ingredients: milk, fruits and frozen yogurts and keep them all cold so that when you get home and unpack, your ingredients will be ready for blending! Do you want one? Leave a comment on my blog! What would *you* make with Dairy Pure Milk? 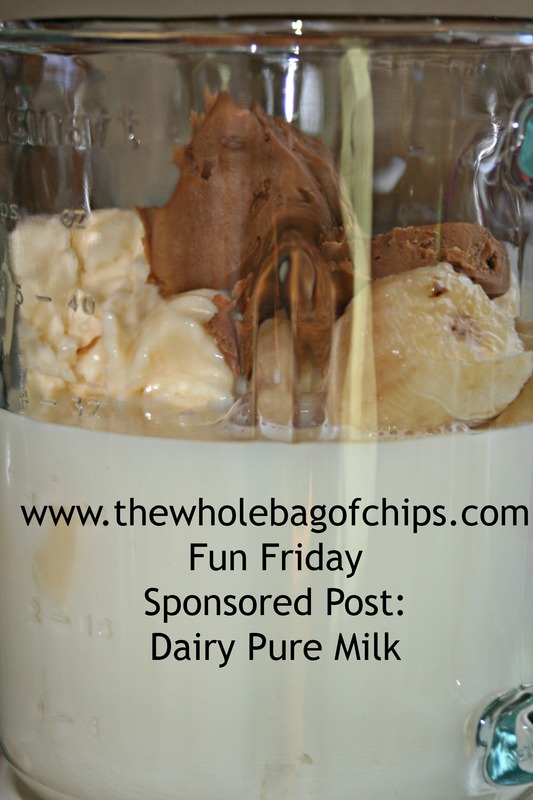 Leave me a comment here on my blog, telling me something yummy you would make with Dairy Pure milk! That’s it! Easy peasy! I will take all of the responses and randomly draw two names for the totes. Be sure to check back so that you know if you’ve won! I will run this giveaway for ONE WEEK, until Friday, April 4th, at which point I will announce the winners on the blog and on Facebook. **This is a sponsored post. I was compensated for this post. This is such a great idea! I wish our local dairies would do this! I would use milk in any of my smoothies, too. I think it would be especially great in our mango banana smoothie. Yum! I LOVE the new cap concept, and would buy the milk JUST for that! My husband is a real milk lover. I would make him something special… when we met, I was a waitress, waiting on him, and he ordered a chocolate milkshake made with VANILLA ice cream. He’s not one for low-cal, or low-fat niceties, but I would try this with the low-fat milk, real vanilla ice-cream, and Hershey’s chocolate syrup. I bet he would love it! Nancy- I love the addition of the Hershey’s chocolate syrup! Thanks for writing! I’m amazed at the love for the clip cap. I lost the cap 1x in my life. I’m a m o m of 2 hungry milk lovers. I just wish they didn’t leave the milk on the counter. Lol I liken the clip top to bread wire close to plastic bread closer. I love making milk shakes for rhe kids with your milk. I used to pass by the milk factory on my way to work and it made me happy to know that i support a local company and how the milk is lical and fresh. I make an awesome bread pudding, pumpkin or cherry cheese ark bread pudding! Bread pudding is one of my all-time favorite desserts! Christi I’ve never heard of putting jam instead of yogurt but I think I might try it at some point and see how I like it! I would make a nice tall glass of good old Rhode Island coffee milk!